Fans of Brandon Heath and Tenth Avenue North will enjoy this rocking reminder that God is our Jehovah Jireh, our provider. We don’t need to worry, because he knows and takes care of our needs before we even know what to ask for. This is another new single from the upcoming full-length release, “White”. 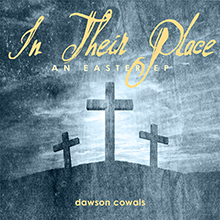 Once again, Dawson, has teamed up with the amazing Nick Garrett-Powell who recorded and produced the track as well as playing electric guitar, bass and singing additional harmonies. Nick even managed to get Dawson to sing some of his own harmonies on this song and they were joined by the fantastic Jim Sitter on drums. This song is a reminder that God is our Jehovah Jireh, our provider. As Paul says in Philippians “I have learned the secret of being content in any and every situation, whether well fed or hungry, whether living in plenty or in want.” The song also pulls from Matthew 6 where it admonishes us to pay heed to how God cares even for the birds of the air and provides for their needs. How much more will He, and has He already done for us?! This is also my 100th YouTube video! Thanks to everyone for supporting my music and this channel! 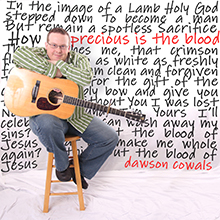 Copyright © 2006 Dawson Cowals.